This game is aimed at Ages 4-7 and will allow your children to have a blast reinforcing phonological awareness! It is super easy to set up (just put the tops on the rockets and you are set to go!) and play and my son loves the rockets concept! You just simply place a photo card and word of your choice in the rocket doorway and then your child can search through the other cards and sort and find cards that rhyme that key word/picture. Then you can stick it into the correct rocket. This game includes 8 rockets, 80 cards (real-life photos) and Activity Guide. The durable rockets measure 5“H x 2.25” in diameter. 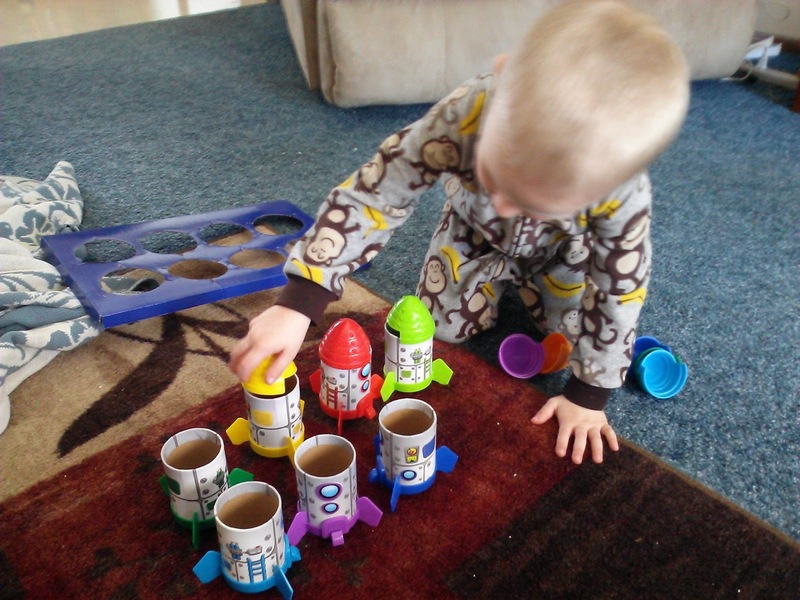 It is a great learning game and is fun for all ages to find a rhyming word and put it in the rocket! My son asks to play this game everyday! 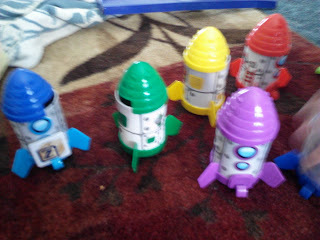 Buy It: You can purchase the Rhyme & Sort Rockets for $37.99 from the Learning Resources website. Win It: Learning Resources is generously offering (1) Rhyme & Sort Rockets to a lucky winner! These are so cute. The kids will surely like these. Perfect for my grandson. Adorable.